Fay is a glass artist who began her journey working with glass over 35 years ago. 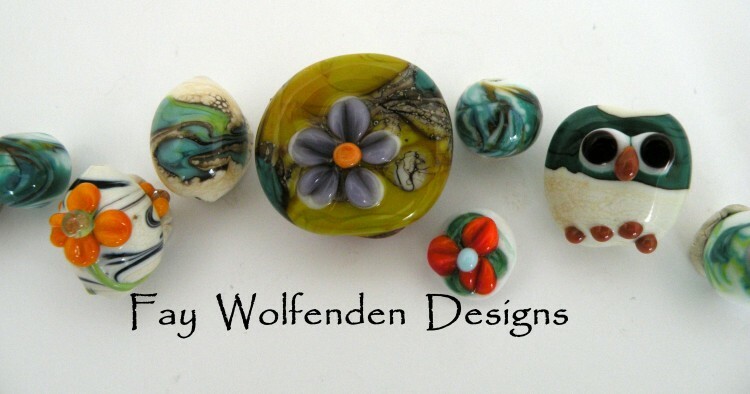 Fay specializes in the creation of beautiful glass beads and jewellery, glass fusing and the construction of one-of-a-kind art glass panels. ART GLASS: Learning her craft in Montreal and Toronto, her work often includes glass nuggets, roundels, sheet copper, recycled copper wire, beads, crystals and re-purposed objects. JEWELLERY My work features my own lamp work beads (made in the flame of the torch)unique & handcrafted wire designs all blended together to create one of a kind, original pieces. I promote re-purpose, re-cycle, re-born and handmade: therefore some of my vintage pieces may show some preloved wear.